Want to be a mom later in life? Join our moms group. | MotherhoodLater.com - World’s leading website, eZine and community for midlife moms. Do you aspire to become a mom one day? Do you anticipate that might happen when you are over 35, or even over 40 or perhaps 50? If you aspire to be a mom later in life, please know that Motherhood Later is here for you. If you’re wondering what the parenting experience is like, we’re happy to share. Drop us a note, and we can connect you with later moms in our group who are in the throes of parenting, who would be glad to answer questions We are not experts….just real women doing the best we can with our kids. We have members with a variety of experiences…infertility challenges, single motherhood by choice, divorced moms, those living the “sandwich generation,” adoptive parents, those raising an only child, those with special needs children, etc. Write to robin@motherhoodlater.com, and put ASPIRING LATER MOM in the subject line. 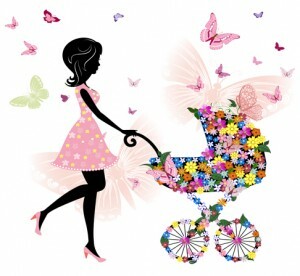 Additionally, you are welcome to subscribe to Baby Bloomer, our free newsletter, and you might enjoy reading our blog, where different moms write life as a later mom. Experts contribute as well.